Once you've mastered those three, you need to learn your jikoshoukai. Jikoshoukai 自己紹介（じこしょうかい） is the Japanese word for "self-introduction." In theory, this is similar to how you would introduce yourself in your own culture. Say hello, say your name, tell a little about yourself. But in practice, there are cultural differences and set procedures you should stick to. You only get one first impression, so it's important to learn how to do it right. We'll start by teaching you the basic Japanese self-introduction, then cultural subtleties, and finally a ton of extra grammar and vocabulary you can use to talk about yourself with your new Japanese friends. "Please Be Kind to Me"
Going to Japan, but don't know Japanese? Don't worry. You can jikoshoukai. The Japanese self-intro has a standard order and set phrases, so even beginners can meet and greet in Japanese. The set phrase hajimemashite 初めまして（はじ　） either comes from the verb hajimeru 始める（はじ　）, which means "to start," or it's a shortened form of 初めて（はじ　）お 目（め）にかかりまして. Though etymologists aren't sure of the word's true origin, hajimemashite implies beginning or doing something for the first time. Most people think of it as saying "How do you do?" or "Nice to meet you." 私（わたし）は - The first word 私 means "I" or "me." It's followed by the particle は which indicates the topic of the sentence. In this case, 私 is the topic. と 申します（もう　） - One meaning of the verb 申す is "to be called." It's paired with the particle と and conjugated to 申します。 This is a polite phrase, so it's safe to use in almost any situation. When you put them all together, you get something along the lines of "I am called [name]" or "My name is [name]." The final piece of the puzzle is よろしくお 願い（ねが　）します. It doesn't translate well to English, which is why we wrote a whole article about it. In a self-intro situation, it means something like "Please be kind to me." It's often translated as "Nice to meet you." This isn't technically correct, though it carries a similar feeling. How do you do? My name is (name). Please be kind to me. See? Not so hard. When you're getting ready to meet Japanese people for the first time, write this out and practice until it flows. If you're a beginner at Japanese, you don't need any more than this. It's great to know the words to say when introducing yourself in Japanese, but how you say those words will make or break your jikoshoukai. There are cultural differences to be aware of. They're subtle, so if you miss them it probably won't be counted against you. But paying attention to details like these can give you an extra social edge when you first meet a new Japanese friend. In English, people usually introduce themselves by their first names or full names. When you give your full name, the first name comes first and the family name afterward. In Japanese, people usually introduce themselves by their family names or full names. When they introduce their full name, the family name comes first and the first name comes second. Revealing one or two of your strengths is fine, but listing all your amazing abilities will annoy others and make you seem over-confident. In English, when you asked what you do for work, you give a brief summary of your job, or the name of your profession. I might have many flaws, but I'll do my best so please be kind to me. You don't have to say anything like this (in fact, we advise you don't), but the point is this: Japanese people usually keep their strengths on the down-low. So try not to show off too much. Revealing one or two of your strengths is fine, but listing all your amazing abilities will annoy others and make you seem over-confident. In the West, if you're meeting someone one-on-one, you shake hands. In Japan, don't move in for the handshake, especially if your status is the same or lower than the person you're meeting. In Japan, handshakes are for equals, so if you try to shake hands with the Emperor, it would be considered rude. Bow instead, and do so at the beginning and end of your jikoshoukai. In Japan, holding your hands behind your back signals importance, so it may make you look full of yourself. Put your hands in front of you (the left hand on top of the right), or put your hands beside you. This is a no-no from our Japanese bowing guide. Do your bowing after giving your self-introduction. Make sure to finish saying "yoroshiku onegaishimasu" and then bow. Business cards in Japan are called meishi 名刺（めいし）, and are an important part of Japanese culture. Even outside of the business world, Japanese people sometimes have personal meishi made (meishi means "name card" after all). We covered meishi etiquette in our article about Japanese work customs, but here are the rules again in a jikoshoukai context. Orient your card toward the recipient. Give and receive meishi with two hands. Put meishi in a carrying case: You can buy business card carrying cases online or at any department store in Japan. If you don't have a case, you can carefully put the meishi in your purse or wallet after you've received it. Just don't put it in your pocket. Use two hands: Orient your card toward the recipient when presenting. Hold the top edge with both hands. When they offer their card, accept it with two hands. Try not to cover any words with your fingers either. Some Japanese people are taught that a meishi is the "face" of the person giving it, so you don't want to cover theirs or your own. When you and your new friend offer each other meishi at the same time: Present your card with your right hand, while simultaneously receiving theirs with your left. Read meishi you receive: Read the person's name and title on the card before you put it away. Make sure to show interest in what they do. Act at least a little bit impressed with their job title. When exchanging meishi in a group, give to the most senior person first: Start by giving your business card to the shachou, then fukushachou, and so on down the chain of command. Treat meishi with respect: Use common sense and treat meishi like you would a gift. Don't toss or write on them. Maybe you've been doing your Japanese self-intro for years, repeating the same three set phrases over and over. Maybe you've read this guide before and have the basics down pat. You're ready to level up! Below are example sentences you can mix into your standard jikoshoukai to give it more flavor, and make your self-intro a memorable one. Earlier we learned how to use はじめまして (nice to meet you, how do you do). Here's a few ways to add to this set phrase. For a formal situation, you should say both your first and last names. 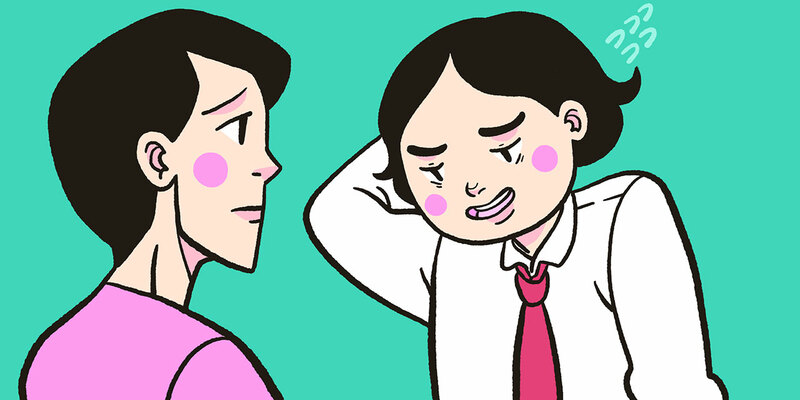 In a casual situation, it's common to say only your family name for Japanese people. If you're an English teacher on something like the JET Program, your school might want you to give your first name when you introduce yourself to the students. Ask your supervisor what's appropriate for the situation. Below are several ways to introduce your name, organized by politeness in ascending order. My name is Michael, but most people call me Mike. When you end your jikoshoukai, you'll use a phrase that means "Please be kind to me" or "Remember me favorably." But once you've got a handle on the standard "yoroshiku onegaishimasu," you can move on to more casual or more formal variations. Below we've organized them by politeness level in ascending order. From here we get into the fun stuff. After expanding on the initial three pieces of the Japanese self-introduction, you can start adding information about yourself, short sentences that explain where you're from, what you like to do, and so on. 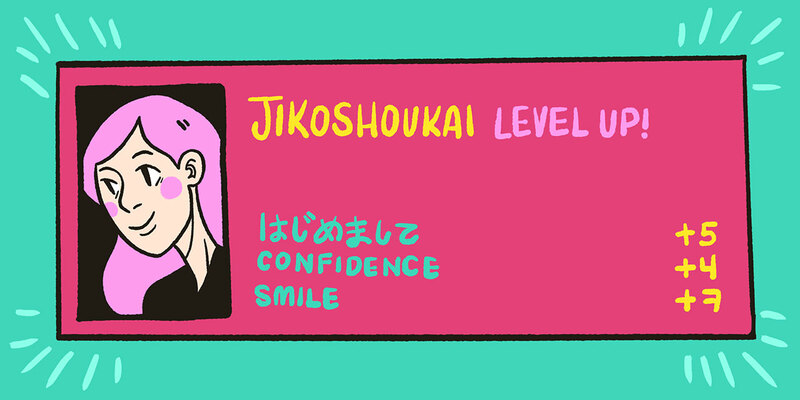 These jikoshoukai modifications will help people get to know you faster when you first introduce yourself. 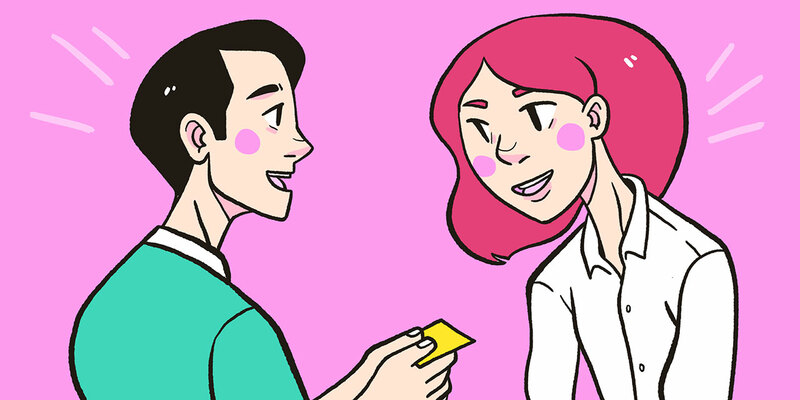 This is especially important as you start to make more Japanese friends, go on dates, or have job interviews. Telling where you're from is always a good addition to a self-intro. 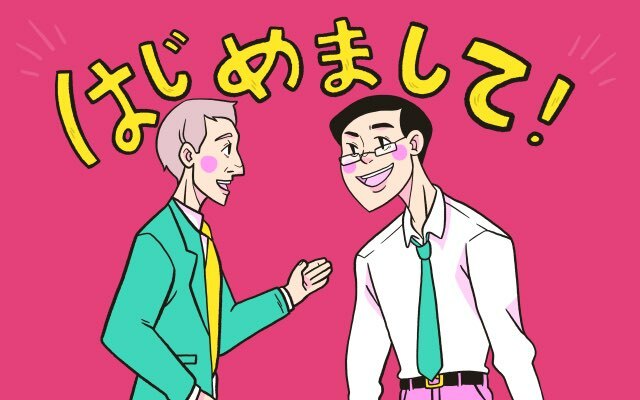 Even if you don't use it during the initial jikoshoukai, your new Japanese friend will probably ask you anyway, so memorizing a few of these phrases is extra useful. Two quick vocabulary usage notes: First, the word shusshin 出身（しゅっしん） mean's "person's origin," and refers more to the place you were born or grew up than where you currently live. It's often used for specific places like a city, state, or prefecture, rather than a country. For example, Mami was born in Osaka, and now lives in Canada. But she spent most of her life in Nara, so she says " 奈良県（ならけん）の 出身（しゅっしん）です。" or " 出身（しゅっしん）は 奈良県（ならけん）です。"
Second, the verb mairu 参る（まいる） is a more humble form of kuru 来る（く　） or iku 行く（い　）. So when 参る（まい　） is used to talk about where you came from in "アメリカから 参りました（まい　）," it's much more humble, so use it in appropriate situations. I'm from Portland, Oregon. Born and raised. I was born in Osaka, but grew up in Tokyo. I was born in Tokyo, but moved to Osaka when I was ten, and lived there until I entered university, which is when I came to Nagoya. My family moved a lot when I was little, so I'm not really from anywhere. School, from elementary up through university, is a big part of Japanese life. Be prepared to have people ask alma mater and what you studied. Or cut them off at the pass by including the information in your jikoshoukai. I graduated from the Ⓒ department of the faculty of Ⓑ of Ⓐ University. I'm a student of the Ⓒ department of the faculty of Ⓑ of Ⓐ University. I'm a second year student of the Ⓒ department of the faculty of Ⓑ of Ⓐ University. I studied East Asian history at Oregon university for two years. 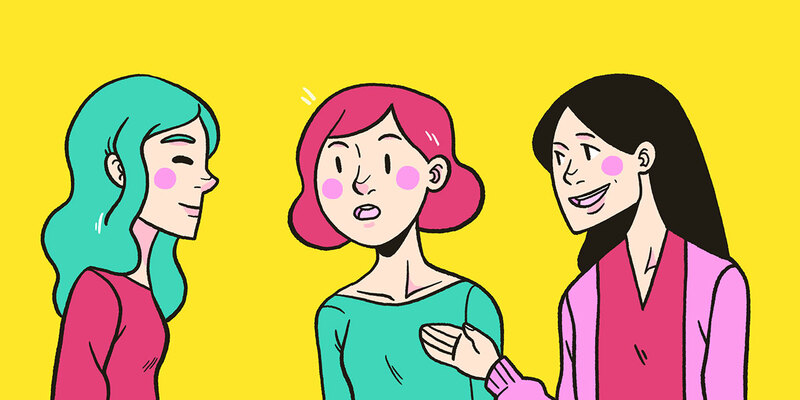 Occupation is a common conversation topic when meeting someone new. If you're doing business in Japan (or want to), you'd better learn at least one of these phrases. A quick grammar usage note: some of these jikoshoukai example sentences use the continuous state conjugation of suru する（） which is shiteimasu しています（）. If you want to get extra polite with any of these sentences, swap out しています with shiteorimasu しております（）. One easy switch and you're ready to tell CEOs and presidents about your work situation. I'm the chief editor of Tofugu. I'm working in sales at Toyota. I'm Satou, assigned to the accounts department. I'm going to teach English at this school. I'm working at East Fugu Elementary School. I'm working for East Fugu Elementary School. "You live around here?" is a common question no matter the culture. Be ready to answer questions about your living situation with these sentences. I live near Tokyo station. I live in an apartment near Tokyo station. Hobbies are super important part of life in Japan. Japanese junior high and high school students take school club activities seriously (sometimes more than academics) and this passion often continues into adult life. If you have a hobby, that is your "thing." Even if you don't think of your interests as "hobbies," describe them as such anyway. It will help people understand you better. Alternatively, you can say what you like and don't like. I'm good at doing [____]. I'm not good at doing [____]. What do you want to be when you grow up? What new skills are you trying to develop? What are you going to eat for lunch tomorrow? Answer these questions and more with the example sentences below. Grammar usage note: the noun tsumori つもり（） is used to tell what you plan to do. It's most commonly used in situations where you've already made up your mind. It's definite. Don't use it for instances where you're kind of maybe thinking about something, but you're not sure yet. I'm thinking about doing [____]. I'd like to do [____]. I'd like to challenge [____]. Now you know what it takes to put together a stellar jikoshoukai in Japanese. Put the pieces together, mind the cultural differences, and practice till its second nature. With a solid self-intro on your side, you're poised to start your relationships right. Just don't forget your business cards.